During the morning service on September 1, 2013 we offered a prayer of dedication. 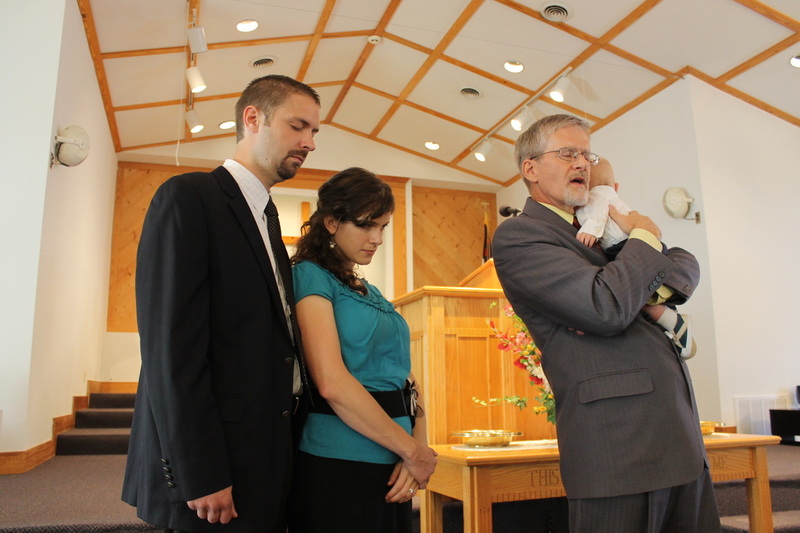 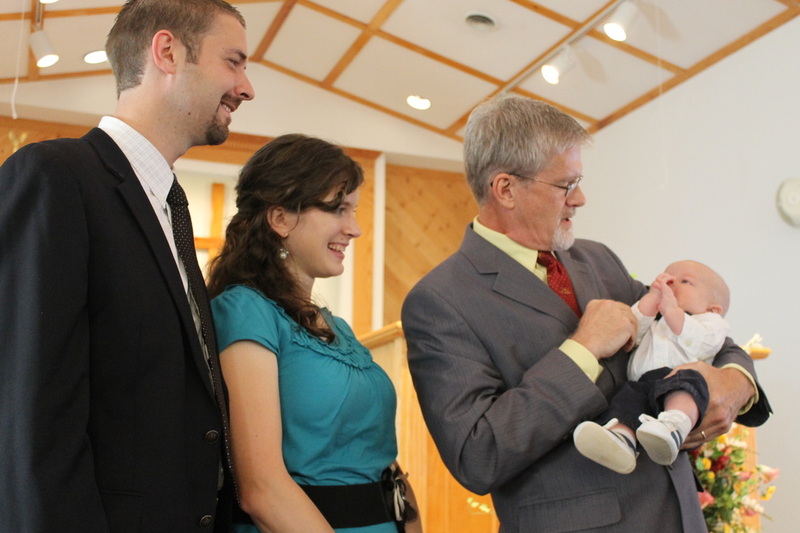 Joel and Sarah Arnold presented Zachary to the Lord in thankful recognition of him as God's blessing to them. 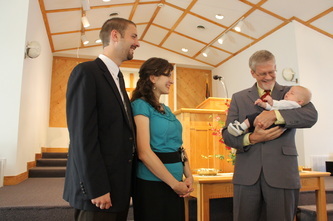 Joel, Sarah, Jeremy and Zachary leave for missionary service in the Philippines on October 22 of this year.